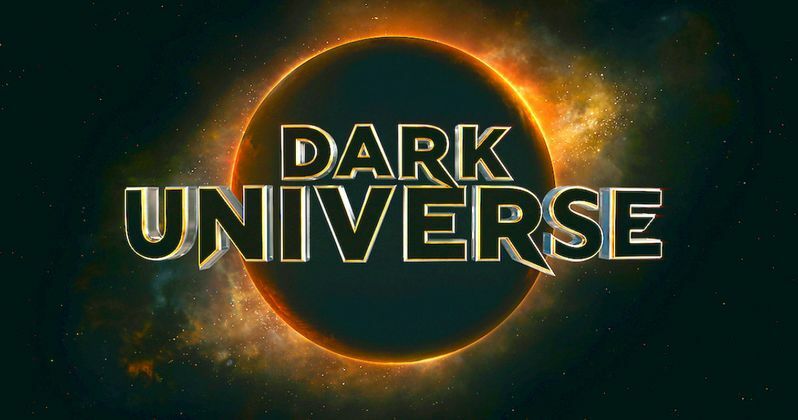 Universal Pictures announced today that its series of films reviving the studio's classic monster characters for a new generation will be known as Dark Universe. The motion logo for the new initiative features a musical theme composed by Danny Elfman and will debut in theaters preceding The Mummy, which will be released on June 9. The announcement includes details of the enterprise relaunching Universal's iconic characters into modern cinema, as well as confirmations of superstar cast and that Academy Award winner Bill Condon will direct Bride of Frankenstein. Dark Universe was begun by core creatives Alex Kurtzman, who also serves as director and producer of The Mummy, the inaugural film in the new classic monster series, and The Mummy producer Chris Morgan, who recently saw The Fate of the Furious, the sixth film he wrote for the Fast & Furiousest opening in history at the global box office when it opened on April 14. Also joining the enterprise to inspire and entertain a new generation are such visionary talents as Oscar winner Christopher McQuarrie (Mission: Impossible series, The Usual Suspects) and David Koepp (War of the Worlds, Jurassic Park). Here's what Donna Langley, Chairman, Universal Pictures, had to say in a statement about this new Dark Universe. "We take enormous pride in the creativity and passion that has inspired the reimagining of Universal's iconic monsters and promise audiences we will expand this series strategically. The enterprise masterfully developed by Chris and Alex will allow each subsequent chapter the right time to find the perfect cast, filmmakers and vision to fulfill it. As we launch Dark Universe with Danny's provocative theme before The Mummy and collaborate with a brilliant filmmaker like Bill to weave the story of a very modern woman in a very classic tale, we feel confident we're off to a tremendous start." From his first score on Tim Burton's Pee-wee's Big Adventure and his iconic theme for The Simpsons, not to mention his collaborations with filmmakers including Ang Lee, David O. Russell, Sam Raimi, Rob Marshall, Guillermo del Toro, Joss Whedon and Peter Jackson, four-time Academy Award nominee Danny Elfman's inimitable compositions have vaulted him into one of the most versatile and accomplished composers in history. Here's what Danny Elfman had to say about joining this Dark Universe. "I grew up on monsters. Monsters were my life, and these iconic Universal monsters were almost like my family. I simply wouldn't be the same without them. When I got the opportunity to compose a theme for the Dark Universe logo, of course I jumped at it. What could be more fun than connecting to this world that has always been so deeply imbedded in my psyche? I tried to find something that was new but still had some connections with the past, the origins, at least in a subtle way. Something that was looking forward to a creative, fertile, imaginative future that Dark Universe will enter, and at the same time saluting the heritage of the tragic heroes (or anti-heroes) of my childhood. To the Monsters!!!!" In another exciting development, Oscar® winner Bill Condon will follow his worldwide smash Beauty and the Beast, one of this year's biggest hits, which crossed $1 billion at the global box office and became the most successful musical of all time, by directing Bride of Frankenstein, from a screenplay by Koepp. The next film from Dark Universe, Bride of Frankenstein will be released on Thursday, February 14, 2019. In a related move, Universal announced that it will not release a Dark Universe film as previously planned for April 13, 2018, and that Bride will instead be the next chapter in the unspooling series of movies following this year's The Mummy. The actress chosen to play the lead role in Condon's version of this timeless story will be announced soon. Here's what Bill Condon had to say in a statement. "I'm very excited to bring a new Bride of Frankenstein to life on screen, particularly since James Whale's original creation is still so potent. The Bride of Frankenstein remains the most iconic female monster in film history, and that's a testament to Whale's masterpiece, which endures as one of the greatest movies ever made." Dark Universe films will be distinguished by performances from some of the most talented and popular global superstars stepping into iconic roles, as well as electric new talents whose careers are starting to break through. While previously announced, the stars of both imminent and future Dark Universe projects are gathered for the first time in the attached photo: The Invisible Man and Frankenstein's Monster will be played by, respectively, blockbuster icon Johnny Depp and Academy Award winner Javier Bardem, who appear together later this summer in Pirates of the Caribbean: Dead Men Tell No Tales. Those actors join superstar Tom Cruise as soldier of fortune Nick Morton and Oscar winner Russell Crowe as Dr. Henry Jekyll, who lead the all-star cast of The Mummy, along with Sofia Boutella, the actress who embodies the title role in that film. Here's what Kurtzman and Morgan had to say in their joint statement. "When Universal approached us with the idea of reimagining these classic characters, we recognized the responsibility of respecting their legacy while bringing them into new and modern adventures. The studio and our fellow creative collaborators have championed and challenged us as we've begun to spin the web of Dark Universe. It's our hope these movies will engross longtime fans and spark the imaginations of brand-new ones." Both the graphic and the motion logo were created by five-time Academy Award®-winning visual effects facility Weta Digital (The Lord of the Rings and The Hobbit trilogies, Avatar). At its organizing principle, Dark Universe films are connected by a mysterious multi-national organization known as Prodigium. Led by the enigmatic and brilliant Dr. Henry Jekyll, Prodigium's mission is to track, study and-when necessary-destroy evil embodied in the form of monsters in our world. Working outside the aegis of any government, and with practices concealed by millennia of secrecy, Prodigium protects the public from knowledge of the evil that exists just beyond the thin membrane of civilized society...and will go to any length to contain it. To learn more about Dark Universe and Prodigium, visit DarkUniverse.com and www.WelcometoProdigium.com. Welcome to a new world of gods and monsters. Welcome to Dark Universe. Take a look at the new trailer, logo and cast photo below.